The idea of having our home security system arm and disarm itself automatically is the dream. Our current ADT system sits idle as we never arm it , too much of a hassle. SO for years we never used it. Now i have the @RBoy intruder app, and a key capability for me is to get it to arm and disarm automatically. This all relies on accurate detection of my wife and I being home or away. At first I setup Life360 on both of our phones. However in the course of debugging, discovered that when my phone battery is low , Life360 turns off. And the last state is remembered so I walked in the house and the alarm would not turn off. It thought I was still away. And once my phone died , I could not even get to the smartthings app to disarm the alarm ! On the plus side the accuracy of Life360 is excellent and super reliable. As I get 1000 feet away from home it triggers, every time. I looked at using the presence capability of the phone itself, via smartthings Mobile, but I could not figure out how to OR them with my Life360. And I am not sure of the battery issues with this technique. I am now looking at Samsung presence detectors to put on our key chains. Again, I will need to be able to detect either the life360 OR the Presence detector. Is that possible. ? What do all you experts recommend ? Different methods will work for different people because there are often local issues involved, even architectural ones. Have you had a chance to look at the presence FAQ yet? It covers seven or eight different methods that people use. Sometimes it’s just a matter of trial and error to find out which one works best at your house. How about a combination of Presence and Unlock actions? Presence triggers a routine which changes the mode and disarms the Intruder App. If presence fails, when you unlock using your code (either on a lock or on a keypad), configure the LUM app to change the mode or run the same routine when it’s unlocked using a code. Infact you can use the keypad itself like a standalone way to disarm the system if needed or connect it to a garage door and it can double as a garage door “lock” keypad which also disarms the system or arms the system. As far as having two devices and letting either act as a presence sensor, that’s not really any different than having two people in the household. You just each define each as a separate presence and set up your automations accordingly. It’s “And-ing” two devices where things get complicated, although that can be done with webcore or some of the other complex logic options. @JDRoberts Thanks for all the info and the FAQ’s. I think the FAQ’s highlight a point I was trying to make. The ability to reliably detect presence is KEY to a successful home automation, ST should as part of its ecosystem fully develop a robust and reliable presence detection package. Today its not really an easily solved problem with a tightly packaged solution of HW and SW. Reviews on Amazon for the Samsung presence detectors are terrible, only 2.5 stars . I’m running life360 now which sounds from all this to be as good as it gets. How do you use two devices to improve the reliability ? I was thinking a phone and a HW device to cover the cases when the phone battery goes low etc. but the Samsung arrival devices have such poor reviews. As discussed in the FAQ, this just isn’t a case where you can average the ratings. All of the different presence methods, including the fob, will work great for some people and not at all for other people. There is a thread linked within the FAQ where people discuss their various experiences with the fob, and that’s exactly what you will find. So again, it’s often just a case where you have to try it and see how it works at your own house. Well so I guess for the masses its an unsolved problem. Thats a bummer. Seems like some small device that wakes up every few minutes and searches for the home wifi network would work great. Anyone know of such a device ? SmartThings mobile presence works great for many people. The SmartThings arrival fob works great for many people. Life360 works great for many people. IFTTT location works great for many people. The Netatmo Welcome camera works great for many people. But What if My Phone Dies? As for your specific issue with wanting a Plan B to handle your phone running out of battery, if you drive a car, a phone charger in the car solves that. If like me, you don’t drive, a backup battery pack is a cheap and simple solution. 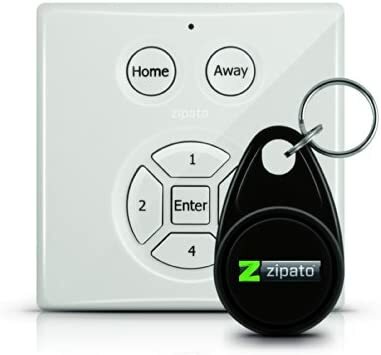 For one step up in cost, the zipato/BeNext keypad has an RFID keyfob you can touch to the keypad to turn on presence. Not as convenient as geopresence, but a decent Plan B.
I have an iris zwave garage door controller that works great with smartthings. I also have a zwave front door lock that comes with a keypad on it. My family is now asking if I can add a keypad to the garage door. I love the way that I can use smartthings to manage multiple codes for the front door. Is there some kind of zwave keypad that I could use for the garage door with smartthings in a similar fashion to the front door lock? And again, the primary presence options (phone app or zigbee keyfob) work well for many people. Your specific use case seems to be the high tech equivalent of hiding a key on the porch because you often forget your keys at the office. (In this case, it’s phone running out of charge.) Which is fine, that’s a real issue for many people. 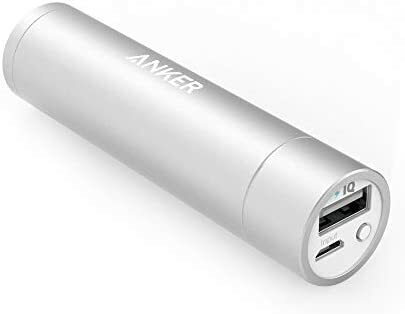 My personal suggestion since Life360 works well for you as long as your phone is charged would be a $25 Anker Charger. Works well, solves your particular problem. As for your hypothetical WiFi pinger device: not practical with current technology. WiFi is a high energy protocol, you’d likely have to recharge the device every day or two, and the odds of it running out of juice as well are high. Zigbee or Bluetooth are the protocols best suited for pingers, and both are already options with SmartThings, as discussed in the FAQ. Any geolocation method I’ve tried has not been 100%. Sometimes they wouldn’t even register until I’m already in the house which is too late. The only way I have been able to get 100% presence has been by combining two methods. I use geolocation (currently life360) along side a network presence monitor that checks if our phones are online. If either are home then my presence is home, if both are away then presence is away. This has been 100% reliable for us. I have had it running on multiple phones in our house and it hasn’t failed us yet. However you do run into the battery dying situation of course but if the code is put into the lock that will also disable the alarm as a backup. Arrival is pretty much instant. If the geofencing doesn’t get me as I turn the corner, my network picks me up as I pull into the driveway. Done with only our phones, no need for an extra device. The network presence was not the simplest to setup. Ended up writing my own way of doing it and you will also require a computer online to run the detection routine unless you have one of those routers that will let you run a script on them. The departure has a delay of 15 minutes before I’m marked as away. This is really because of the way the iphones work. When they go to sleep they drop their network connection and from lots of logging I found that about 15 minutes is the sweets spot. So to avoid false detection I had to set it so that I wouldn’t be marked away until geolocation is away and network has been offline for at least 15 minutes. I believe on android phones you can disable this but might add battery drain. I can live with the departure 15 min timeout since this solution has yet to fail me. FWIW, I was also struggling with why my phone’s presence is detected very accurately by ST built-in presence sensor, but my wife’s phone’s detection was very unreliable. I have Android, she has iPhone. So, I kept on observing when her phone stopped working and my phone still worked. When her phone’s presence was not detected for four days, I opened the SmartThings app on her phone and checked the settings. The map where location shows up, displayed blank. It just would not show me the location, the circle kept spinning. Finally, I decided to restart the phone. It worked. Since phone restart, the presence sensing has worked flawlessly. Turned out that she never restarts her iPhone, so the phone presence detector processes might have just hung up. I have emailed the presence sensor logs to ST support. Let’s see what they have to say, not expecting much from them. On the other hand, I restart my phone every week. Samsung phone health monitor generates a notification if I haven’t done so. It’s a Samsung recommendation. Now I am in observation mode again to see if periodic phone restart is the solution. Would you share your network detection with me I am looking for a ifttt or something to detect I am on my home wifi as the 2nd mode of presence detection. Also how did you program the OR as most of the SH is AND. I do have the keypad lock to disarm my system too. So thanks for that. However my wife and I come and go and never use that door so the automatic mode is my primary mode I am trying to get robust. I do think with BTLE and wifi networks there should be a reliable enough combination to get it right. I do like the idea of a Keypad as a last resort if we come home and the alarm goes off. There are multiple options in one of the threads posted above for lan presence including methods for asus routers and raspberry pi’s. They should get you going if anything. I’m not a fan of sharing my code because I really don’t have time to support it if it doesn’t work for others. In terms of the logic. If you use webcore you can setup a piston that does all the logic for you and updates a master device with the end result. There is also a smart app i believe called presence central that can help with that logic much easier too. In the end there is no easy way to do this. But once done its pretty solid. I found a service on android to detect I am on or off my home network. that will be great. But it wants to set a device in smartthings ON or off. Is there a way to make a virtual device like a variable in the cloud I can turn on and off and then sense that and change the state of the alarm to HOME, away etc ? I’ve gotten to 100% reliable presence detection. It required ceasing my efforts to utilize phones as presence devices. It also necessitated a better battery arrangement for the ST presence sensor. Right now I’m about three months in since the last battery change (two AA batteries per sensor). They have worked flawlessly in that time. They unlock my front door, turn on the porch light if it’s dark out, turn on indoor devices, disarm SHM. Sometimes success is about abandoning how you believe things should be, and rolling with things as they are. That four-AA-cell holder with the two batteries and the sensor is far less elegant than having a tiny keychain fob or than having my phone do it. But it works, every time. No muss no fuss until the batteries finally start giving out. And that is the desired result. This is discussed in the same presence FAQ above. There is a link there to code for a virtual presence sensor which also has switch capability so you can turn it on and off like a switch. That allows you to have any event that SmartThings can recognize turn it on or off, and then you just use it like any other presence indicator in your rules. Or you can just have the virtual switch part of it act as a trigger for webcore or a routine. The link to the code for the virtual presence sensor is in post #5 of the FAQ thread. I love how you reframed the issue. Excellent. So far the phone wifi detection has been working well, I used an Android services IFTTT for both arrival and departure and put ifttt on both our phones. and I like your idea of the arrival sensor with a bigger battery. whats your setup look like do you have a photo ? Going to be hard to convince my wife to carry around a BIG thing though. If I leave it in her car it might work, mostly. Thanks did u use the regular samsung presence, arrival detector? I just wanted to share here how I accomplish WiFi presence detection. I use Fingbox, a great network monitoring tool you plug into your network.It is integrated to IFTTT. When a user’s device is connected to the network it triggers IFTTT by user or by a generic “Someone”. IFTTT then sets a Simulated (virtual) switch I set up. I set an IFTTT rule and a vSwitch for each person I want to track. When the switch is on, the person is home. OFF, they are gone. Fingbox and IFTTT allow for departure indications too. Response time is very rapid so far. At home is tripped when I pull into my driveway. Just wanted to mention that since I did not see this option above.